Casumo Player Abracardabra Player Wins €20,000 on the day of release! 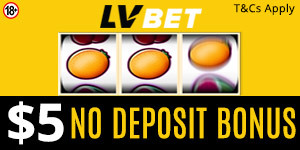 Lucky finnish online casino player scored incredible jackpot from Casumo! Casumo is an online casino where great things happen and one player named Pentti was lucky to have a magical experience while playing Abracardabra. The Finnish player from Tuusula had placed a bet of €2 before the big win. As a retiree, Pentti stays at home. He logged into his Casumo Casino account during the morning hours and decided to find some new games. Pentti came across Abracardabra and made a decision to give it a try. It seems Adracardabra brought Pentti good luck because his €2 bet led to an incredible €20k win. When asked how he would spend his winnings, one of Pentti’s intentions was to relax in his summer house for a week. Casumo casino is his favorite casino and the only casino he loves playing online slots. He loves the casino because of the quick withdrawals and excellent customer service. When playing this poker-inspired game, the player can hold one or several cards out of the 5 cards displayed on the screen. The cards held by the player remain on the screen and the player is dealt more cards. You win when 5, 4, or 3 of the same cards are displayed. Players need at least 3 bonus symbols to trigger the bonus feature. The Casumo team was delighted to reward the Finnish player and the casino promises to release new casino games every week. This is important because more games mean happier players.